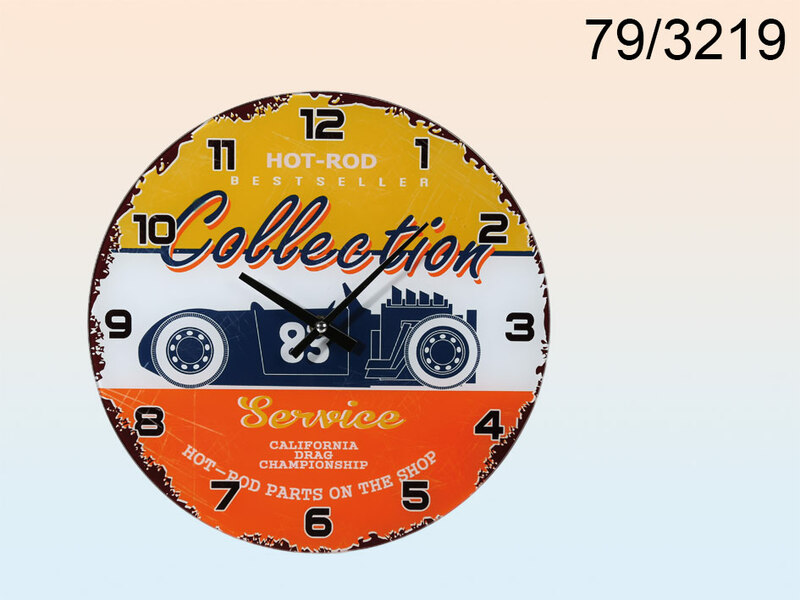 Wall clock with retro style image. Decorative item perfect for pubs and restaurants as well as for your home. Great gift idea. Stylish decoration.